Below are four observations on fuels, a subject that rarely sees opinions based on numbers and reason. The topic of fuels draws out emotional responses ranging from compulsive cheapness to conspiracy theories, neither of which serve the serious builder. Feel free to use the comments section, keeping in mind I reserve the right to delete any comment which doesn’t have a human name attached to it. (1) Yes, high octane unleaded fuel exists. Above is a can of 110 Octane unleaded fuel in my hangar. 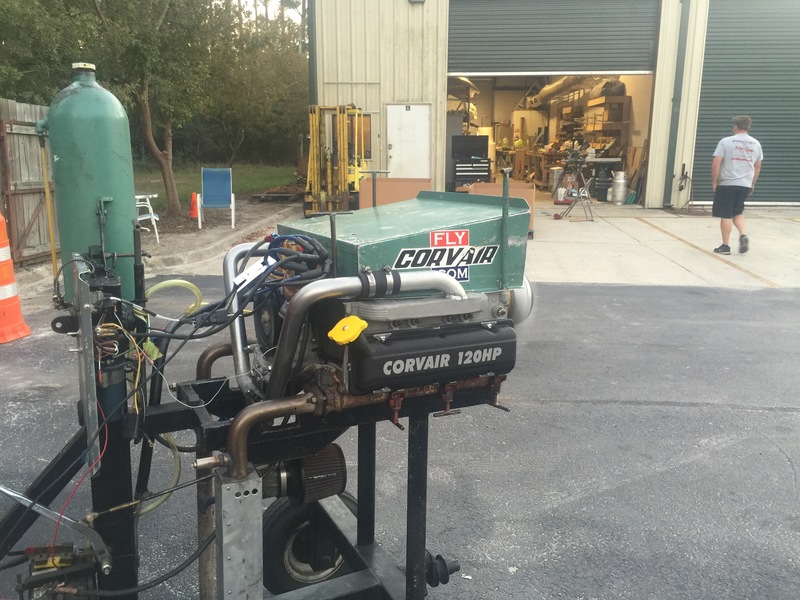 We use it for dyno tests and other research. 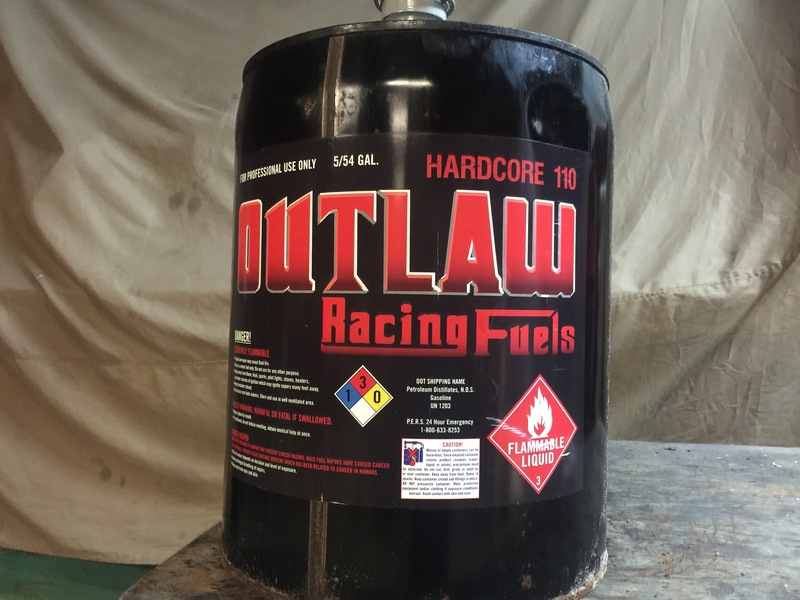 The detonation resistance of this fuel meets or exceeds 100LL. I buy it in our little town, off the shelf, it is about $8 a gallon, a price which includes a healthy profit and the container. It is sold at a little golf cart repair shop near our town’s drag strip. If ordered in a 55 gallon drum, it is substantially less than $5/gallon. Every year I hear “Experts” at Oshkosh talk about how having unleaded fuel with an octane higher than 94 would require a scientific breakthrough. Reality: it already exists, no one need ask for a federal grant to re-invent it. I strongly suspect that if it were manufactured in the volume of 100LL, it might even be cheaper. Even if it wasn’t, aircraft engines would live a lot longer without lead in them. 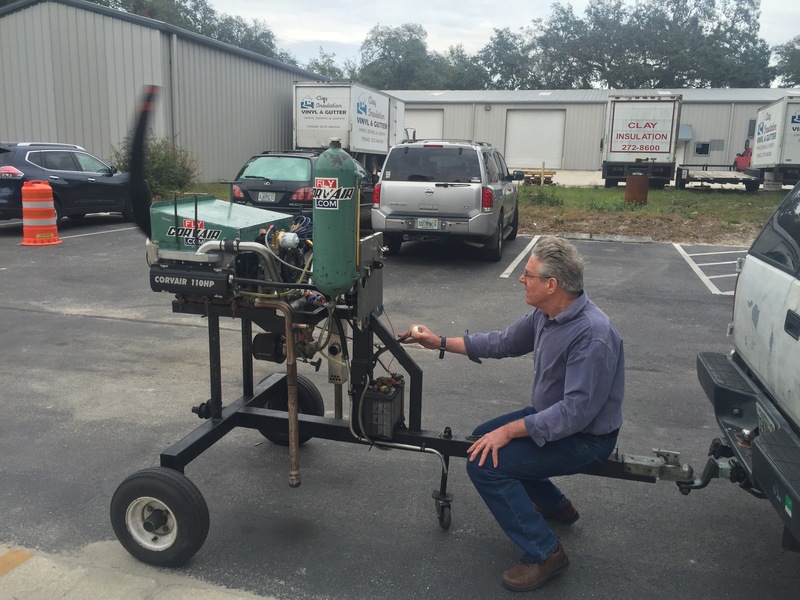 Extending the life of a motor 20% would offset a substantial price differential. Think it over. (2) Fuel cost is a much smaller cost of aircraft ownership than people think. When the price of fuel goes up by a dollar, several people in every EAA chapter will pontificate that “flying just became unaffordable.” Try this at your next meeting: Poll ten people who have a hangar at the airport on how much their hangar rent was last month, and then ask them how many dollars they spent on fuel the same month. 9 of 10 will have bought less fuel than rent, yet they don’t complain with the same venom. Picture this: A lower cost homebuilt which took $25,000 to build, not to mention years of labor, which costs $1,000 a year to insure and $250 a month to store. The builder has an AARP card and may have only 10 or 15 good flying seasons left. If he flies 100 hours a year at 5 gallons an hour, he will spend $1,500 on $3/gallon fuel or $2,000 on $4/gallon fuel. Only a fool would choose to fly a lot less because his annual operating cost went from $5,500 to $6,000/year. Reality says the sand is running out of the hour glass and you built the plane to fly it, not to protest the price of hydrocarbons. 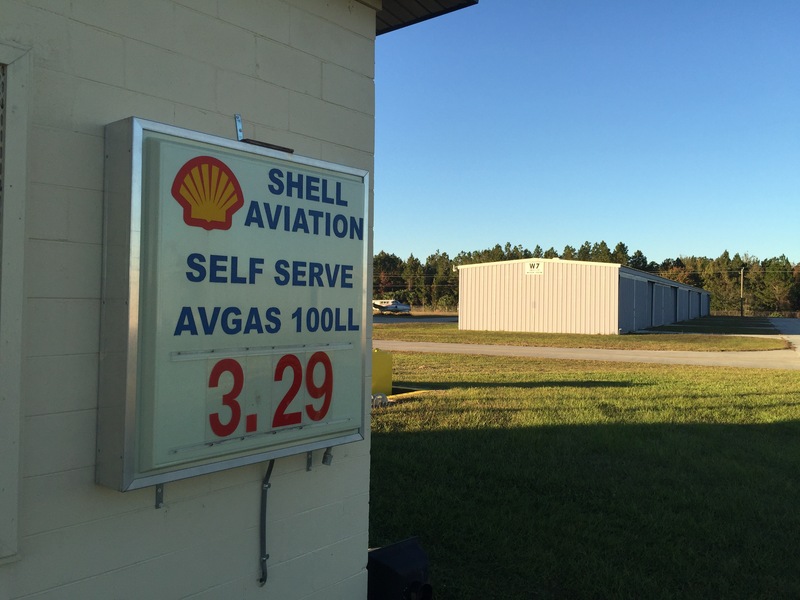 (3) Aviation Gasoline is not expensive and apparently here to stay. 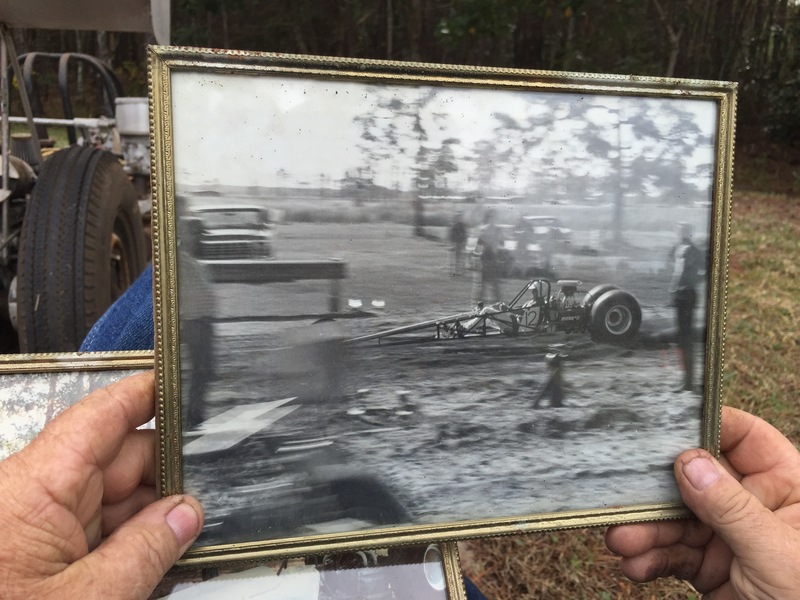 Above Is a photo I took at the Palatka Florida airport the day Paul Salters Panther flew. Notice the $3.29 100LL price. This isn’t accurate today, as the price has come down 9 cents in the last 2 weeks. I have worked in aviation basically every day since 1989. 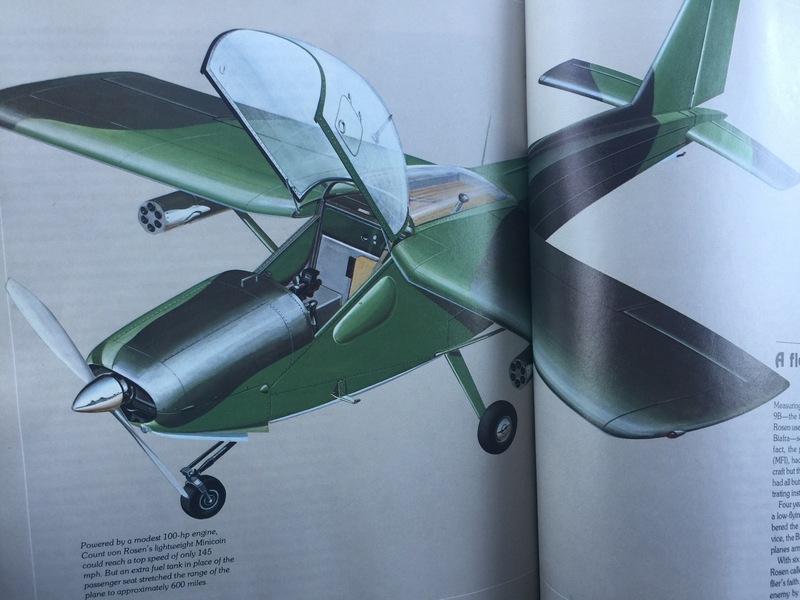 In that time I have heard several dozen experts and magazine editors citing “new laws” , “Federal standards”, “lead being outlawed” all predict that 100LL would disappear in 1990. 1992. 1996, 2001, 2002, 2008, 2012, and 2016. Lord knows, there will be people saying it is being outlawed in 2017, and people will believe them, in spite of the fact they have never been right. On the price of 100LL, people like to quote the price at the signature FBO at Miami International Airport, because it justifies their statement “I would fly all the time, but no one can afford to anymore.” The actual local price of 100LL is a small fraction of this distorted number..
(4) There is a very ‘popular’ internet forward that states “Gas was $1.89 the day President Obama took office, and it is a record high today at $3.69” People like this, it gets passed around in aviation circles all the time, it just doesn’t happen to be true. The record peak gas price in the US was August 2008, when George Bush was president, and it was $4.11/gallon. The change to $1.89 in 5 months reflects the economic collapse in the fall, and it says nothing about either president. The $3.69 was July 2014, the actual national average today is $2.13 a gallon. essentially unchanged in eight years. There are a lot of people who think the price of gas is set in the oval office, and there are even more who decide if they can enjoy their life based solely on which party is occupying the public housing at 1600 Pennsylvania avenue. My personal love of airplanes goes so far back in my life, it certainly predates my awareness of politics. Given an chance to go flying or argue partisan debates with misleading data, I confess to being in the minority, the people who would rather build and fly. Thanksgiving eve in the shop…. 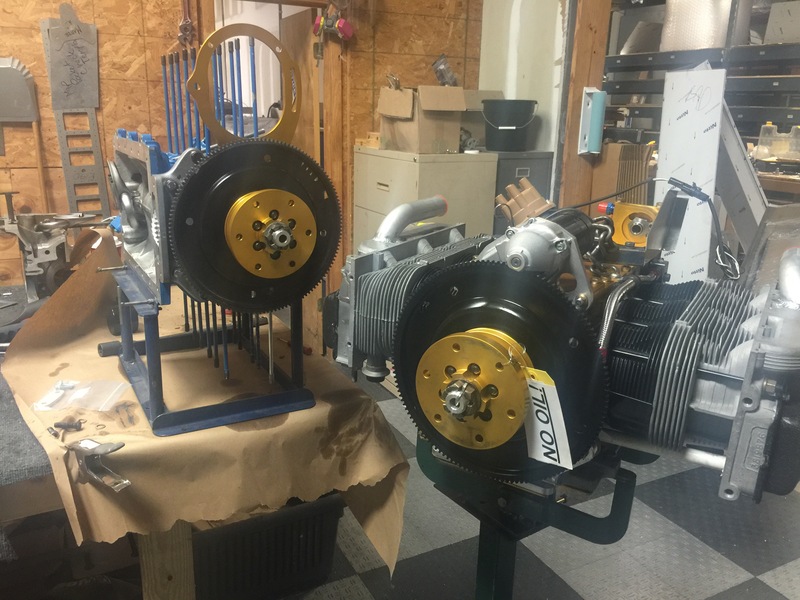 In anticipation of a day off, I spend the evening wrapping up some details on engines at the SPA/Panther factory. A pleasant time in the shop listening to Led Zeppelin’s masterpiece, “Physical Graffiti” for the zillionth time in my life. Above , two Corvairs; a 2,700 complete case assembly and a finished 3,000 cc. I was 13 years old and living in Hawaii when Physical Graffiti was released. I was in 7th grade at tough private institution named Punaho. It was an excellent education; one of my schoolmates became President of the United States 32 years later. I distinctly recall hearing the song “Night Flight” and not really knowing who Led Zeppelin was, but intrinsically understanding this was something different than the ubiquitously popular KC and the Sunshine Band. 40 years later, I have spent countless nights working on machines, in too many different shops and hangars to remember. The songs on Physical Graffiti are an unchanged constant, threading these places and times in my life together. Waiex engine, 3,000 cc / 120HP Corvair of Gordon Turner. The fifth engine to run at Corvair Finishing school #2 was Gordon Turner’s 3,000 cc engine, slated to power his Waiex airframe (The Vee tailed Sonex.) The Engine is a first class power plant featuring everything in the FlyCorvair / SPA Panther Catalogs, including an SPA billet, made in the USA crankshaft. Above, Gordon’s engine on the run stand. For the break in we don’t use an oil cooler because we want the oil to come up to full operating temp quickly, to boil off any entrained water and evaporate solvents from things like assembly fluids the factory puts in lifters. Given the option of breaking in an engine on 140 vs 240 degree oil, absolutely pick the latter. The Sonex and the Waiex both use the #2601-R reverse Gold oil filter housing shown, To clear the fuel filler neck on these airframes. The oil like to the 5th bearing is connected to the case by a special fitting that Dan makes. Standard Gold oil filter housings do not need this, they use a #2802 block off plate. Above, the 3,000 cc Corvair at power, during the break in run. It ran flawlessly during the run and accumulated a little over an hour. WE check a number of post run details closely, and the engine passed them all, this flying colors. Rather than take the engine with him, Gordon elected to have it shipped to his home, a task easily accomplished by the SPA team. UPDATE: This has been sold to a very good home in the Corvair movement. I was very pleased to hear this news. 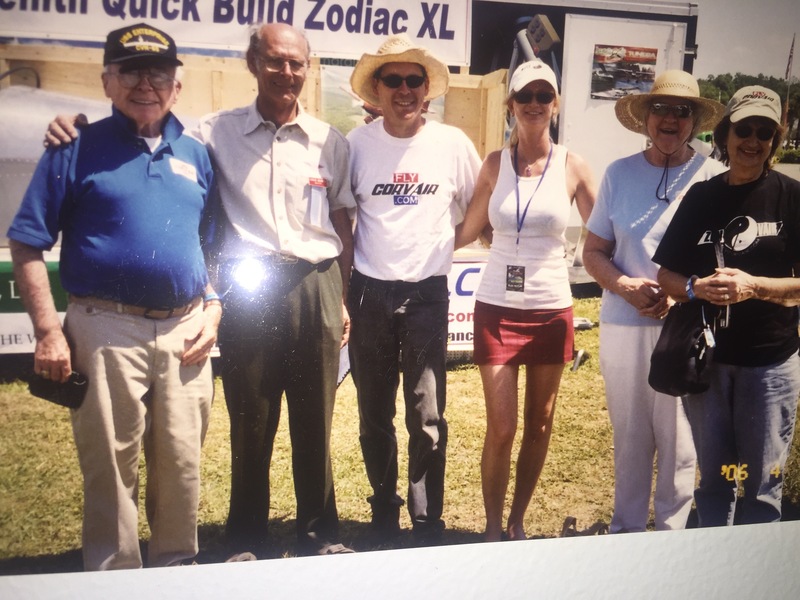 Roger would like to thank everyone who showed an interest in his project and his story as an original EAA member. When we get progress pictures from the new builders, we will be glad to share them. Thanks-ww. Below is a unique project for sale, offered by Roger White, a fellow Corvair builder who is also an EAA legend, with a two digit EAA number. If you are interested, or know someone who is, Roger’s number is listed below. Anyone who buys the engine (a Weseman 5th bearing equipped 2700 with older black series systems) or the airframe or both, who deals with Roger fairly and with great respect, can count on my support with the engine. Roger is a warm and friendly guy and an experienced aircraft builder. He is a pleasure to speak with, and at 89 years old, he is an American from a different era, when people had simple decency as a common trait. 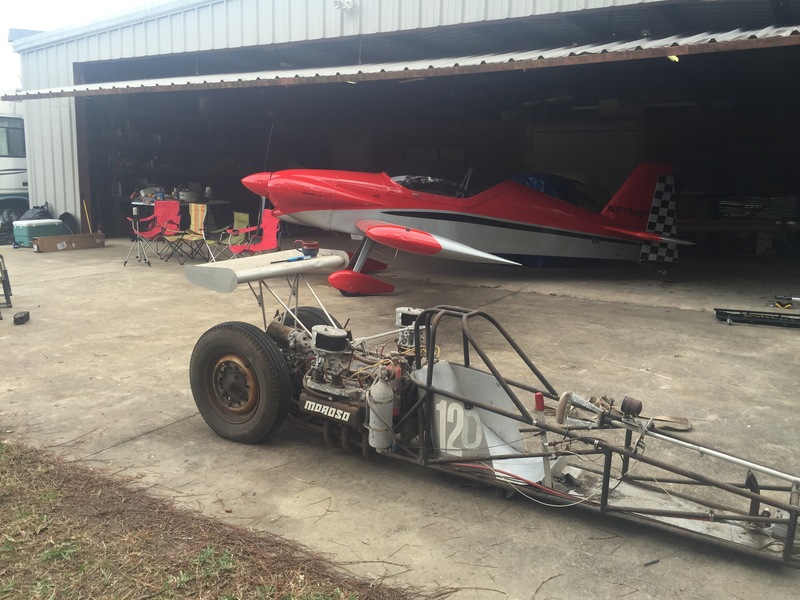 The plane is located near Tulsa OK. Roger is Asking $4000 for the engine, and another $4000 for the airframe. He is willing to offer a slight discount to a builder who would like to buy both. It is not a difficult project to transport. I have not seen it in person, but highly skilled Corvair/Piet builder Mark Chouinard has, and reports of impressive workmanship. If you wish to contact Roger, feel free to mention reading of his plane here. I have absolutely no angle on it’s sale, but it will tell roger that you have read and understood the notes shared here. It should go without saying, but I will make this crystal clear: Roger has hundreds of friends and admirers in experimental aviation. If I hear the slightest report of anyone with a lowball offer, failing to treat Roger with the utmost respect, or failing to have a square deal with him, I will regard it as my duty to inform Rogers friends as to the identity of that individual. Aviation is a small place, and poor behavior in dealing with Roger will have long lasting consequences. Inexpensive projects offered by senior aviators have a way of attracting rip off artists, but let me assure such people this is the wrong place to try something. Let this be enough said. Due to health and circumstances I need to find a new home for my project. NOT A KIT! Aircraft built by amateur from approximately 75% factory unfinished parts, factory drawings and supporting documents. Above, an image of Count Carl Gustav Von Rosen’s MFI-9B, pictured in attack configuration as used in the Nigerian Civil war. While every rich guy with a Stearman will tell you he owns a “warbird” the MFI-9B is an actual combat aircraft that destroyed a number of MiG 17s and Ilyushin-28’s. I would like to see Rogers plane take it’s rightful place parked with the other actual warbirds at Oshkosh, particularly if the parking space had previously been used by a T-34 or other training planes. The fourth engine to run at the Corvair Finishing School #2 was the 2,775 cc engine done by Trevor Rushton, who flew over from Britain for the school. He assembled the entire engine from its most basic components in two 10 hour days. Because aircraft in the UK must meet the stringent standards of their LAA, the assembly required a high level of documentation, which I had to sign off as done under my supervision. Even with this extra time requirement, Trevor easily got the engine documented, completed and on the run stand during the finishing school. As a crass colonial grease monkey, I am usually the champion of American ingenuity, but truth requires I say that Trevor might very well have come close to setting the record of most efficient builder at a Corvair event. I honestly don’t think any of us could have gone east across the pond and made as good a showing assembling a Gypsy Major engine on their soil. The engine is a 2,775 cc “Engine in a Box” kit that Trevor purchased through SPA/Panther in advance of attending the Finishing school. If you are interested in learning more about the kit engine program, please call Rachel directly at the SPA hotline: 904 626 7777. Above, Trevor hard at work, measuring and documenting the case bore diameters utilizing the advanced tooling that Dan and I maintain for engine development and process quality control. 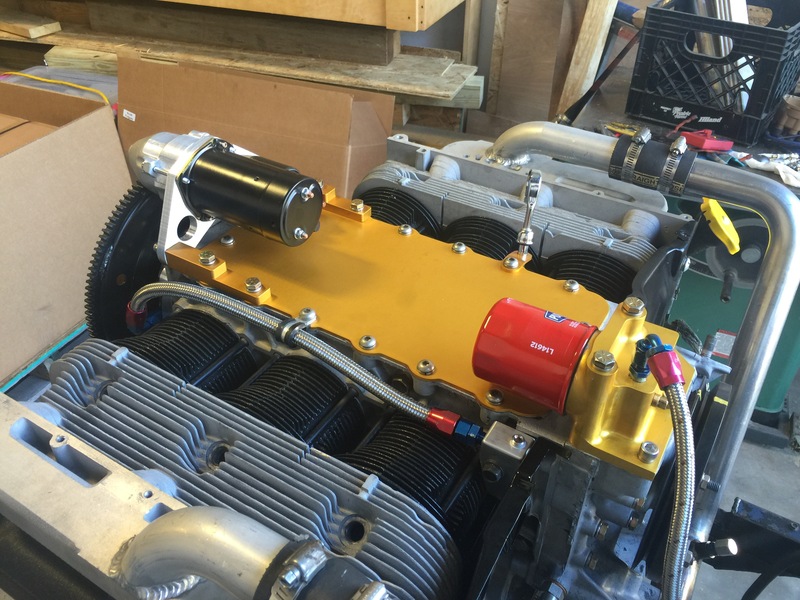 The LAA governing body of sport aircraft in the UK, requires individual engines built to be documented in great detail, under supervision of approved inspectors. 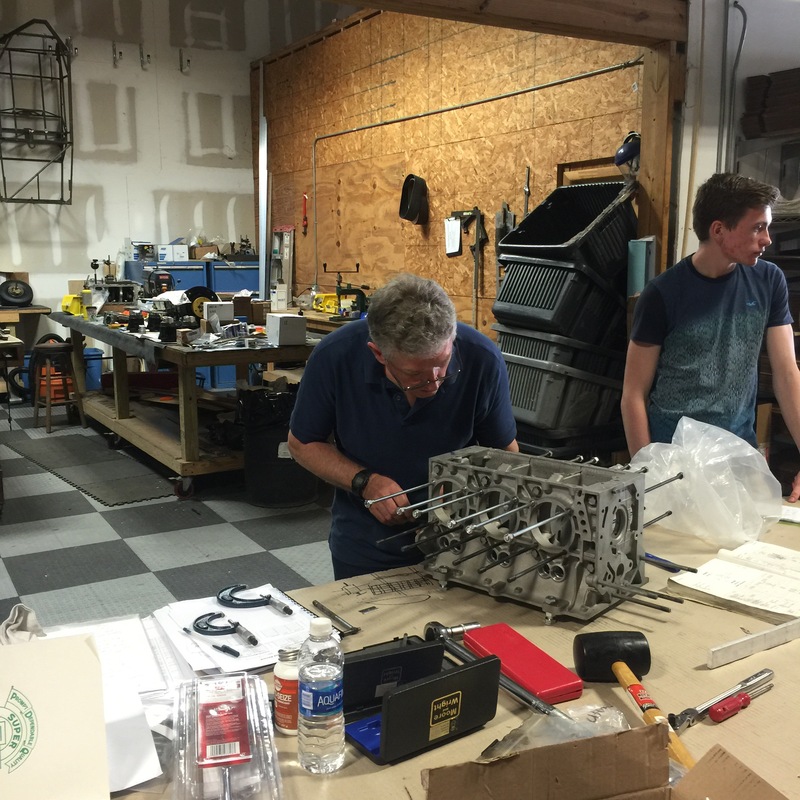 Trevor secured prior approval from the LAA that I could act as such an inspector on his engine build. For builders with great enthusiasm, we will gladly match any effort they make toward special requirements. Much of the original contact and communication with Trevor was done by Terry Hand (in Happy Birthday to the USMC story last week) who runs our “Pietvair” discussion group. The pay off: Trevor taking his engine through a perfect test run. It is destined to power his Pietenpol, slated to be finished at the end of 2017 or early 2018. After watching him work, I tend to think his time estimates are reasonable. I told him I would probably fly to Britain to see it launched. Something about working with Trevor: I had many things I wanted to hear his perspective on, but we ended up speaking about the greatest UK import to the US in the last 100 years: Music. In the last 40 years I spent countless hours listening to Led Zeppelin, The Who and The Rolling Stones, all band from Trevor’s land. I have never been to the UK, but know something about Brighton in the 1960s from listening to Quadrophenia a zillion times. Trevor said he was neither a Mod nor a Rocker, perhaps just a little of both.